There are now over 800 licensed wineries in Canada and more in the planning stages. Ranging from the internationally known Arterra Wines Canada, Andrew Peller Mission Hill, and Chateau de Charmes to the small farm fruit wineries of the Maritime Provinces along with Saskatchewan and Manitoba. Way back in the 1980's when I started enjoying a glass of wine at dinner, my friends were drinking beer, my mother preferred tea, my father gin. Over the years we have seen a tremendous change in the drinking habits of Canadians from beer to French and Italian wines to actually preferring Canadian wines over old world wines. When www.winesofcanada.com was started 26 years ago there were a mere 26 wineries listed in the BC Liquor Commission hand book. In 1981 there were 14 wineries in BC, by 2002 there were 71 licensed wineries, five fruit wineries and 16 winery licenses pending. 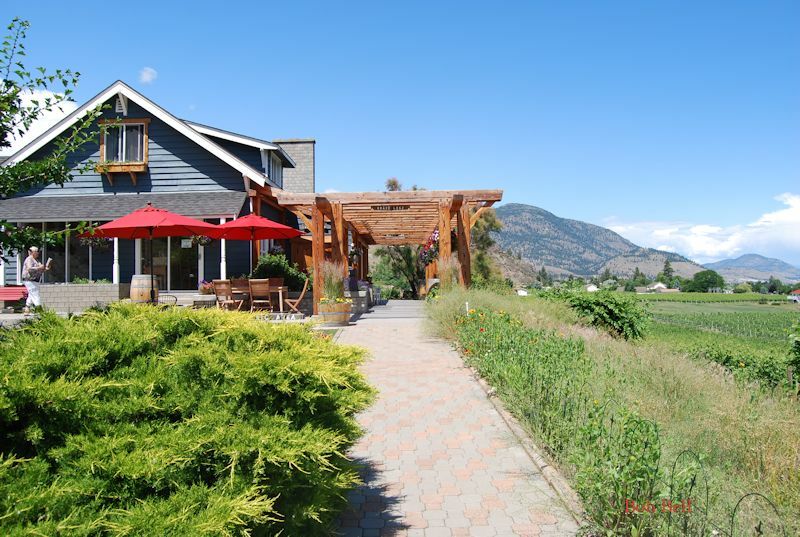 Every year there are more wineries opening all across Canada. There are fruit wineries in Alberta, Saskatchewan and Manitoba. Living in BC it was relatively easy to find information about the wineries for the province, although most of it was outdated. It was more difficult to obtain information about Quebec and wineries further East. Many wineries did not have websites. Canadian wine was not a hot topic nor could you find a Canadian wine on most restaurant's wine list. The most recognized areas for producing wines in Canada are southern Ontario around the Great Lakes most notably the Niagara Peninsula and the Okanagan Valley of British Columbia. Canada's first commercial vineyard, Vin Villa, was established on Pelee Island in 1866. Pelee was replanted in 1980 and now features the largest planting of European vinifera grapes in Canada. The island has developed a profitable tourist trade around the ruins of the original vineyard.